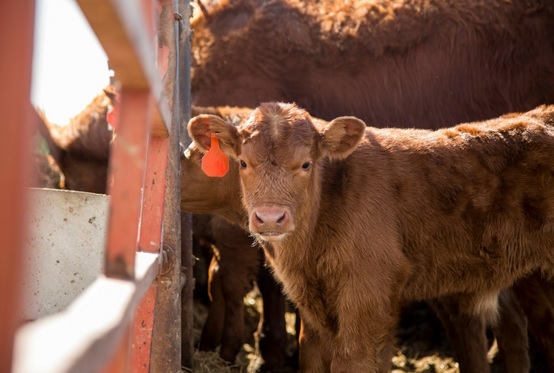 A new program recently launched by Alltech, dubbed Blueprint, is helping producers find ways to improve efficiencies and maximize genetic performance in their cattle. Blueprint is formulated to target animal health, performance and builds upon cattle’s genetic potential at each stage of their life cycle. Dr. Butch Whitman, beef nutritionist for Hubbard Feeds (a division of Alltech), says Blueprint is the next step in improving beef cattle nutrition. Whitman says genes control important body functions like reproduction, milk production or immune response. Research has shown that when Blueprint minerals are fed to cows pre-calving, they show improved trace mineral status at birth, have fewer health problems and have significantly heavier weaning weights of their calves. Research has also shown the heifers on Blueprint reach puberty earlier, calving cows take fewer days to first estrus and breeding females have higher pregnancy rates at first estrus. In addition, weaned calves fed Blueprint have significantly lower incidents of respiratory illness and death loss and go on to have a higher rate of gain and feed efficiency when fed to finish- resulting in an increased hot carcass weight. Listen to Whitman describe the benefits of Alltech’s new Blueprint Nutrition program, with Radio Oklahoma Ag Network Farm Director Ron Hays, on today’s Beef Buzz. Listen to Whitman describe the benefits of Alltech's new Blueprint Nutrition program, on today's show.